The FEL-10 is a low noise distributed 10 MHz frequency reference. The device can be used to provide a stable and spectrally pure 10 MHz reference. 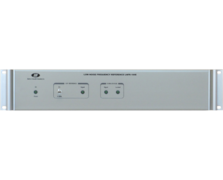 The FEL-10 can be phase locked via a +/- 5 VDC tuning signal or phase locked to an external 10 MHz 1VRMS signal. The unit incorporates a low noise OCXO and the high performance distribution amplifier module, HPDA. 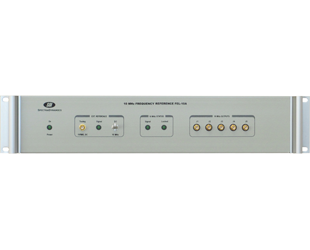 Five outputs are available with channel to channel and reverse isolation exceeding 100 dB. The FEL-10 is offered in a stand-alone rack-mount enclosure with SMA connectors. The PLL module allows locking to an external 10 MHz source.